the side of the dress and can be fastened to the other strap. sizes, with two triangle-shaped pockets on the front. 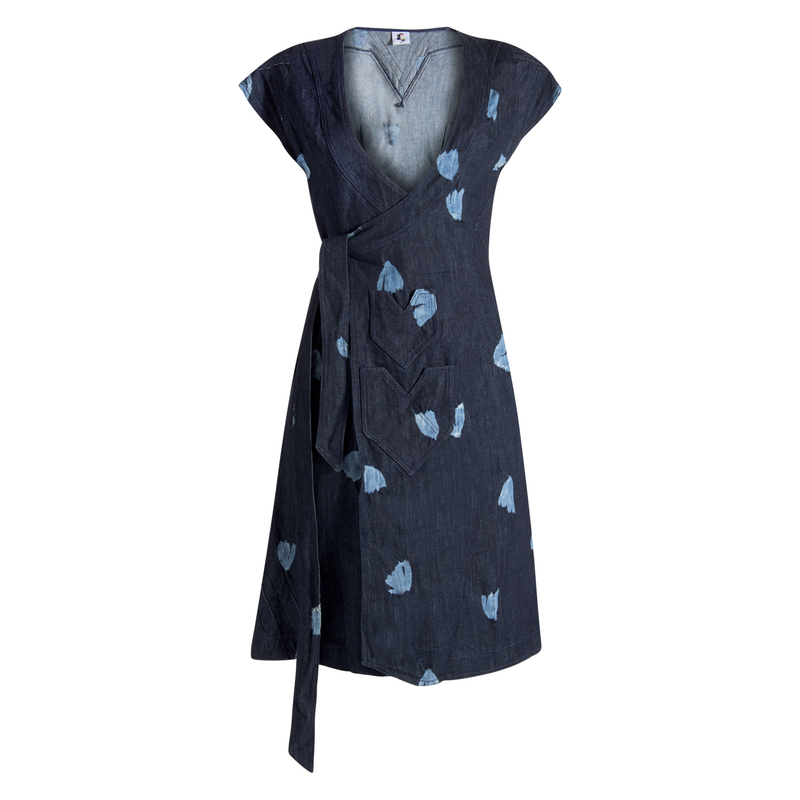 dynamic play of both denims in the design of the dress.